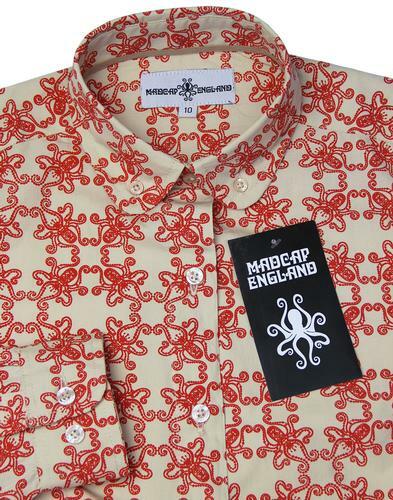 Rilloby women's 1960s mod Octopus print penny collar shirt in cream/red. 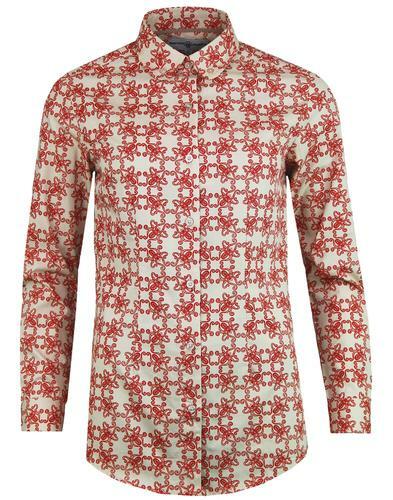 Retro button down penny round collar. Long sleeve with classic button cuffs. Velvet inner back collar binding. 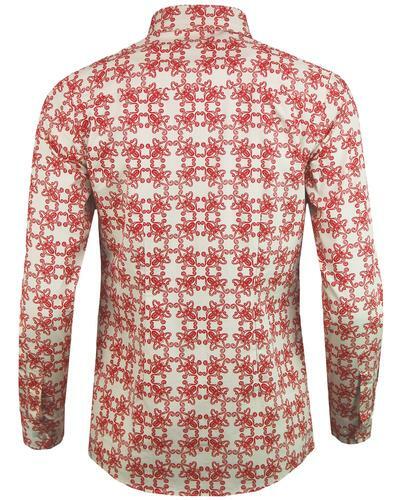 SKU: MC371 Rilloby Women's Octopus Print Penny Collar Shirt.